On 13 June 1944, only a week after D-Day, the first V1 flying bomb was launched on London. This was the beginning of the ‘Second Blitz’ on London. 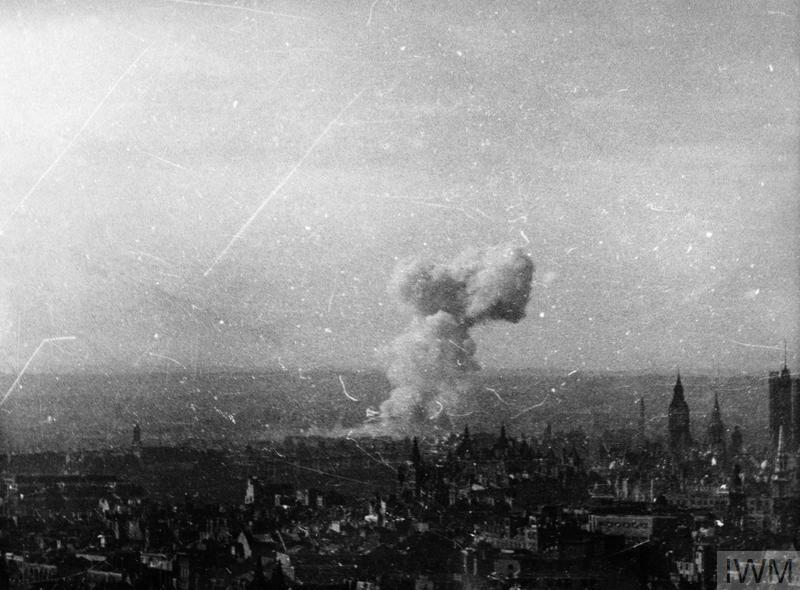 Within a few days, more than 200 flying bombs were launched from sites along the French (Pas de Calais) and Dutch coast. The threat from the flying bomb had been known for some time and launch sites as well as storage facilities had been attacked from the air since the beginning of December 1943. At the same time it was decided to put in place a defence system to try to prevent bombs to reach the target. First of all, fighters patrolled over the Channel trying to intercept the flying bombs before they reached the English coast. If they did not succeed in doing to, a belt of anti-aircraft guns would try to shoot down bombs. Behind this belt, more fighters would patrol in the air and, finally, on the outskirts of London, a string of barrage balloons was set up. Three Danish fighter pilots were involved in the fighter defence against the flying bombs. Kjeld Rønhof, who served in 332 (Norwegian) Squadron was the first Danish pilot to operate against a flying bomb. On 19 June 1944, he was leading six Spitfires on a patrol flight over the Channel. Four aircraft were called back, but Rønhøf and Sgt Veiersted were vectored on to three flying bombs by the controller. Unfortunately, Veiersted’s motor cut out, and he had to bale out into the sea, and Rønhof—circling over Veiersted until he was picked up—had to give up the flying bomb. The next day, 1 Squadron moved from Predannack to RAF Harrowbeer, but they were soon on the move again. The destination was RAF Detling in Kent, which was well placed for the anti-diver operations. 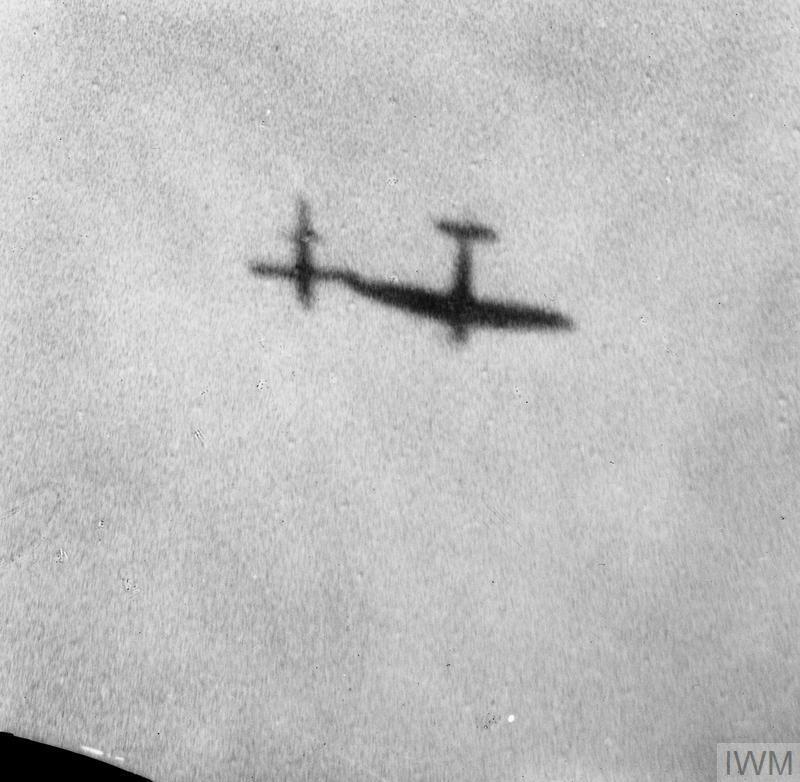 The first of many ‘diver patrols’—as the operations against the flying bombs were called—was carried out on 24 June. In April 1944, four Danish pilots had been posted to 1 Squadron and—by June 1944—K. C. J. Pedersen was the last one still serving this squadron. The squadron moved to RAF Lympne, which was placed directly on the presumed path of the flying bombs, on 12 July. Pedersen carried out his first diver patrol on 23 July and, over the next two weeks, he went on to fly twenty-five such operations. All but one were uneventful. On 26 July, Flt Lt I. P. Maskill and Pedersen was airborne at 0730 hours for the second diver patrol of the day. They observed a flying bomb south-east of Maidstone, and intercepted it a position south of Lenham. The flying bomb was flying on a straight and level course towards London at a height of about 1,000 feet. Flt Lt Maskill attacked from line astern, and fired three short bursts. He observed hits on the jet unit during the first attack, and when he attacked for the second time, he set it on fire. At that point, the jet—which had until then functioned normally—went out, and the flying bomb dived to the ground. 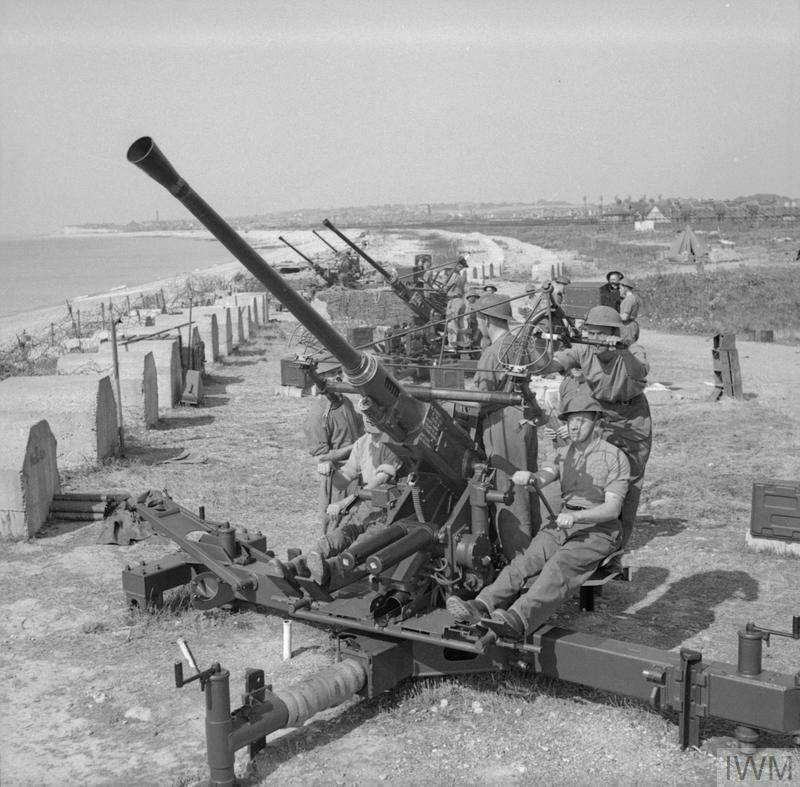 On 2 August, 501 Squadron moved to Manston, where it became operational on Tempest V in order to intercept flying bombs between the coast and the North Downs. Fg Off Kjeldbæk had joined the then Spitfire squadron in October 1943. ‘Tiny’ as Kjeldbæk was nicknamed because of his height, was very satisfied to convert to the Tempest and it’s larger cockpit. He took of on his first diver patrol on 6 August, and carried out nine such operations over the following five days. They were all uneventful.Kjeldbæk was posted to 274 Squadron, flying another twenty diver patrols until 1 September. At that point, the threat from the flying bombs were ebbing out as the Allied armies on the Continent reached the areas from which they had been launched. Collier, The battle of the V-weapons, 1944-45 (1965), pp. 76-84.